Energy modelling is complicated due to the data input requirement from multiple stakeholders to produce an accurate model simulation. In this blog we will examine how a set of APIs from BuildSimHub can offer an agile workflow between architects and design engineers. During a visit to Bristol (UK) last week, we took the opportunity to visit our friends at Hoare Lea. To those that don’t know, many years ago John Egan (BIM Launcher) worked for this fantastic company as an internal BIM technologies consultant. The time was spent working with some really great people on some really advanced projects and industry problems. It was important that we impressed. One of John’s final projects with Hoare lea was to develop a new workflow for sustainability engineers that automated the process of environmental design analysis for a given design. The proposed solution depended on a rhino/ grasshopper plugin, ladybug. By limitation of the application running on a desktop platform, analysis suffered severe performance bottlenecks and made the idea of an on demand energy performance analysis unviable at the time. John learned that unfinished projects create lasting internal conflict and curious state of flux in the mind of an engineer, thus, the problem needed to be resolved! Through the discovery of the BuildSimHub platform, we immediately identified a solution which could overcome the problems associated with ladybug. BuildSimHub provided the underlying pieces (Energyplus, Openstudio) that gave ladybug its value but as a web service with a rich API meaning that BIM Launcher could create automated workflows against and would not suffer performance bottlenecks. It turned out that they were more than happy to help prepare a demo to show off for my return to Hoare Lea offices. We started by establishing a use case for Hoare Lea engineers and designed a workflow against BuildSimHub APIs. As an expert in this domain area, Weili Xu (BuildSimHub) explained how projects are affected by problems such as applications producing inconsistent source data for simulations including metrics, naming conventions and terminology. He confirmed that the flexibility of the API and the scalable compute model would be enough to customise the workflow exactly for Hoare Lea engineer requirements. Push design model data to BuildSimHub. Retrieve result data from BuildSimHub. The BuildSimHub engineering team produced an openAPI document so the API could be consumed in node-red via their open source fork of node-red-contrib-swagger module. Node-red is an open source visual programming environment which allows users to quickly create web services. This enabled BIM Launcher to create a custom API with everything the use-case required, and nothing it didn’t. 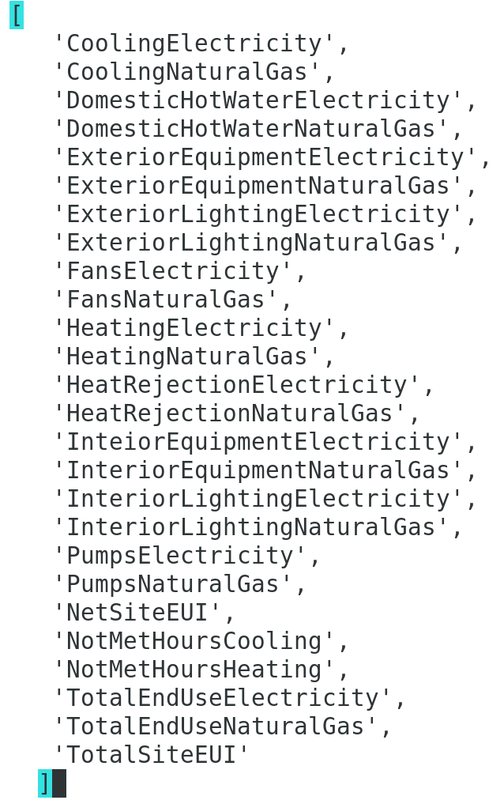 From the proposed design model, the architect would export a green building XML(.gbXML) file and couple this with the weather file(.epw) for the location of the site (on energyplus website) for upload to BuildSimHub API. Using the 'TotalSiteEUI' from the above list as the request_data parameter to the GetBuildingSimulationResults_API, the response would return data that could be leveraged by the design engineer further on in the workflow. By using node-red, end-users can connect data from this API to others with use cases such as checking in results into the central project data management platform. New possibilities are opened for project teams and companies through developing custom solutions which adds even further value such as plugins for design authoring tools that link with the API or web based dashboards for the most up to date view of environmental simulation data for stakeholders. In comparison to desktop alternatives, we can see that moving to a cloud based energy analysis framework opens potential for an improved design process and offers teams more agile energy modelling and automation options. Please comment below with feedback on how you would improve this workflow using other tools. For consideration towards other web services like BuildSimHub, a catalogue of available APIs for AEC industries can be found here. Co-authored by John Egan(BIM Launcher) and Weili Xu(BuildSimHub).